Richard B. Owens Jr., associated with Keystone Appraisal Company since 2008, has a B.A. Degree from The College of William and Mary. 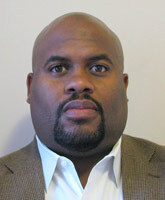 Mr. Owens has been actively engaged in real estate valuation since 1995. Formerly with the Valuation Services Group of Arthur Andersen, LLP, his practice involved real estate property valuation and consulting services for institutional grade retail, commercial and industrial real estate. Mr. Owens was a Senior Appraiser with Cushman & Wakefield of Pennsylvania, Inc.; a Senior Analyst with Duff and Phelps (formerly known as Standard & Poors) and an Associate with Integra Realty Resources. Mr. Owens was also a Consultant to the City of Philadelphia, Board of Revision of Taxes and is a state-certified general real estate appraiser in Pennsylvania.